Biomet was a large manufacturer of hip replacement products before it was bought by its competitor Zimmer. Several Biomet hip implants helped improve patient’s lives, but one line of products didn’t live up to expectations. Biomet’s metal-on-metal implants cost the company millions of dollars in litigation and compensation costs. Indiana-based Biomet Orthopedics was a medical device manufacturer that specialized in surgical products to replace the hip, knee, shoulder and other joints. Orthopedic manufacturer Zimmer bought Biomet in 2014 for $13.4 billion. The new company, Zimmer Biomet, became one of the leaders in the hip replacement market in 2016. 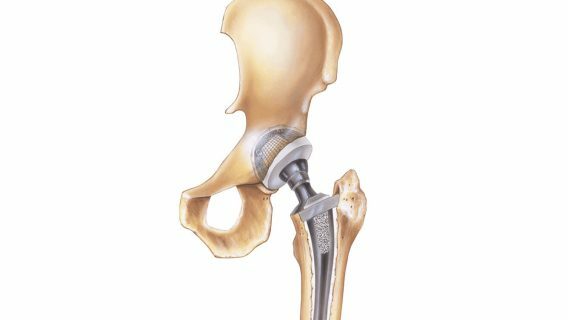 Before the acquisition, Biomet’s top hip replacement product was the Arcos Modular Femoral Revision System. It included five stems and three body options that could be implanted using three different types of surgical techniques. The company also sold acetabular components, including products in its G7 Acetabular System and Regenerex RingLoc+ Modular Acetabular System. The company’s products had well-documented histories of success, but Biomet was not immune to failures. The M2a Magnum hip implant products contained problematic metal-on-metal designs. The M2a Magnum caused a variety of complications, including metallosis, which is metal poisoning that occurs when metal particles are released into the blood from the artificial joint. The U.S. Food and Drug Administration received hundreds of reports of complications from doctors and patients who used the M2a Hip implant line of products. However, the devices were never recalled. Thousands of people filed lawsuits against the manufacturer, and Biomet agreed to settle a large number of cases in 2014. However, 431 lawsuits were still pending against the company in March 2018. Biomet manufactured hip replacement devices for all types of hip replacement surgeries. These devices included femoral, acetabular and revision components. Revision components are used in surgery to replace faulty or failed implants from original hip replacement surgery. Biomet’s implants came in a variety of materials such as ceramic, metal and polyethylene plastic. The company claimed that components manufactured with its exclusive E1 Antioxidant Infused Technology had a lower wear rate than other polyethylene products. In addition to its popular M2a Magnum line of implants, Biomet manufactured other metal-on-metal designs, including the Biomet Stanmore and Exceed ABT. According to Biomet, the company produced the widest range of metal-on-metal hip devices in the industry. The company released its lucrative M2a line of implant products in 1996, beginning with the M2a RingLoc. From 1999 to 2009, more than 110,000 M2a devices were implanted in patients. Biomet claimed the M2a design increased long-term performance, allowed for a wider range of motion and decreased dislocation rates. The M2a Magnum Large Metal Articulation device was released in the Unites States in 2004 and was one of the company’s bestselling devices. Following the release of this device, all M2a implants were consolidated under the M2a Magnum brand. The devices were monoblock implants, meaning they were composed of a single component, and each M2a model had slight differences in design to accommodate different patient needs. The M2a Magnum line included several acetabular products composed of a cup (or shell), metal liner and metal ball. The M2a Magnum Large Metal Articulation System was endorsed by former Olympian Mary Lou Retton, who suffered from hip dysplasia and damage to her hips during her career as a gymnast. Retton received a total hip replacement using this device, along with Biomet’s Taperloc Hip Stem, in 2005. M2a implants were designed for active people. The larger head diameter had the potential for more than 160 degrees of motion. The downside to the larger heads was that the surface area rubbing against the inside of the cup was larger, which increased surface wear. That meant more metal particles could be released into the blood and surrounding tissues. More than 450 adverse events involving Magnum implants were reported to the FDA by patients and doctors. Complications included pain, swelling, premature device failure and fractures that required revision surgery.